In 1963, Betty Friedan unleashed a storm of controversy with her best-selling book The Feminine Mystique. Hundreds of women wrote to her to say that the book had transformed, even saved, their lives. Nearly half a century later, many women still recall where they were when they first read it. 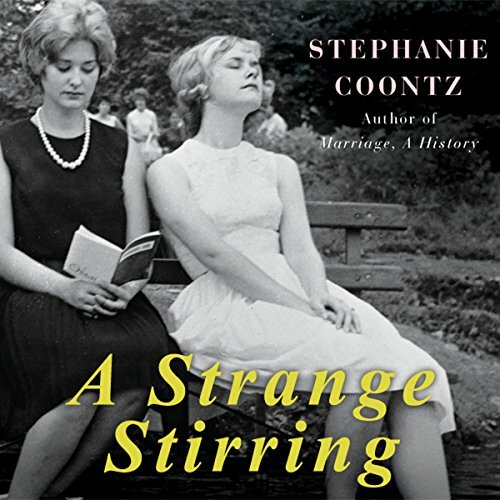 In A Strange Stirring, historian Stephanie Coontz examines the dawn of the 1960s, when the sexual revolution had barely begun, newspapers advertised for “perky, attractive gal typists”, but married women were told to stay home, and husbands controlled almost every aspect of family life. Based on exhaustive research and interviews, and challenging both conservative and liberal myths about Friedan, A Strange Stirring brilliantly illuminates how a generation of women came to realize that their dissatisfaction with domestic life didn’t reflect their personal weakness but rather a social and political injustice. ©2011 Stephanie Coontz (P)2010 Audible, Inc. I am 31 in 2016. I married at the age of 28. I have 3 years of college but did not finish it and I am currently walking through an internal dialog of "what to do" when I become a mother. as I listened to the history of women, it has helped me to understand where our mothers and father's have been. I feel it helps me understand how and why the relationship with my grandmother and parents were what they were. I do not know if I will ever read the book, but the way this book was written, using the kinds of research that only a professional and hind sight can provide has helped me not oly to better understand where I am and possibly what to do, but also gave me another way to look at my personal relationships with those around me. it was a good read.